Organized Lives provides professional organizing services for home and office. UPDATE: This website is retired. 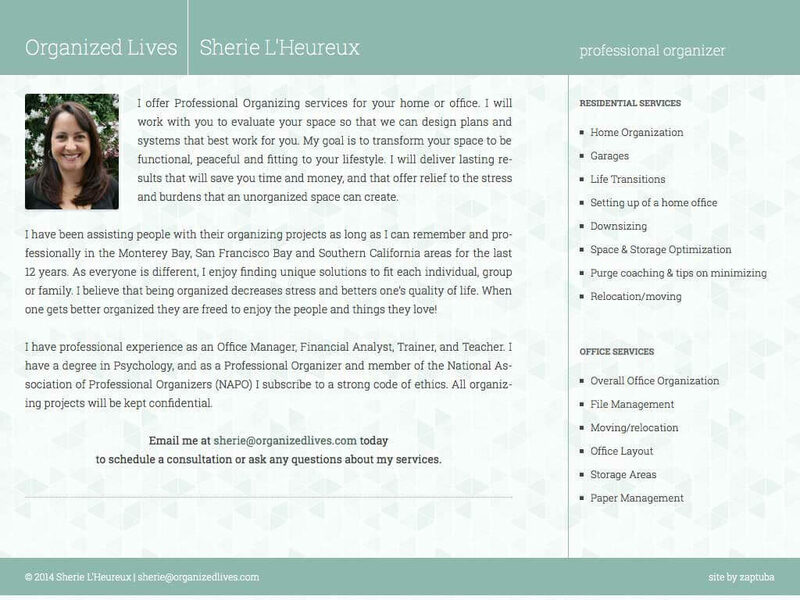 Sherie L’Heureux of Organized Lives wanted a simple website to highlight her professional organizing services. ZapTuba designed branding and delivered a responsive, clean website which reflects the serenity that comes from having everything in its place. 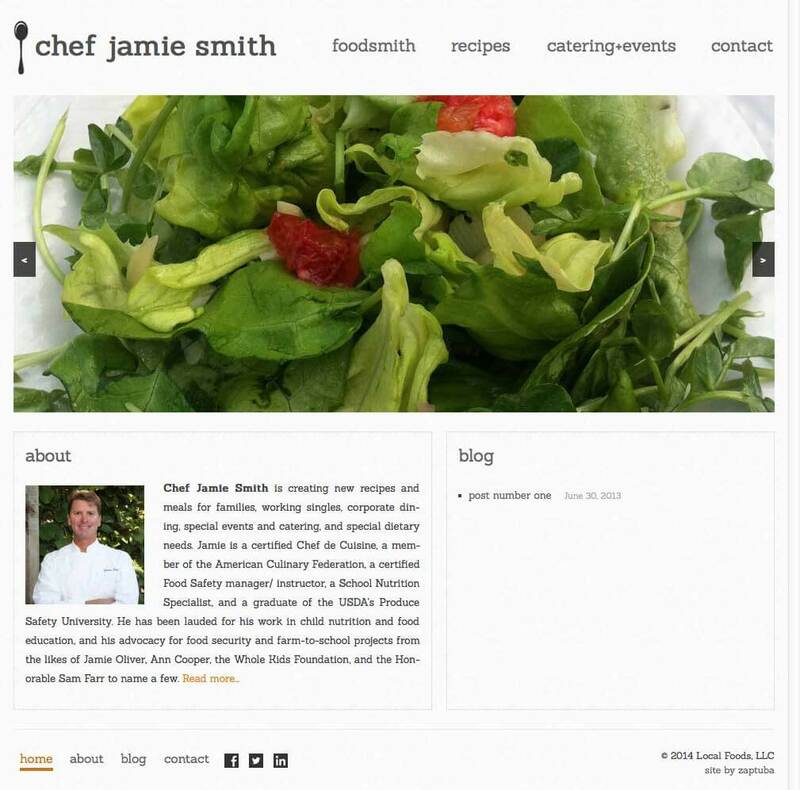 Chef Jamie Smith is a professional chef, child nutrition advocate, and proprietor of FoodSmith, creating nutrient-rich meals for families and working adults. Santa Cruz County Builders is a contractor specializing in residential remodels and client satisfaction. 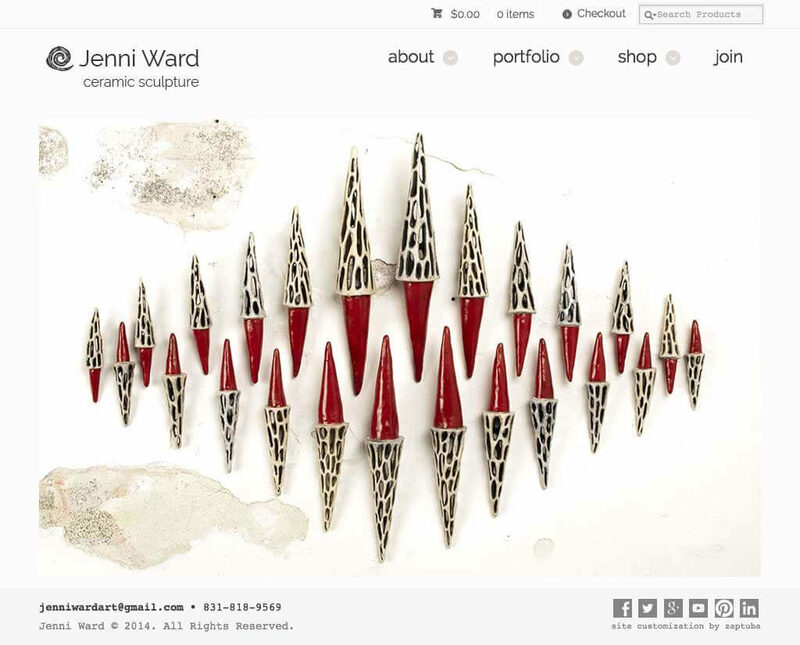 UPDATE: This website theme is retired. 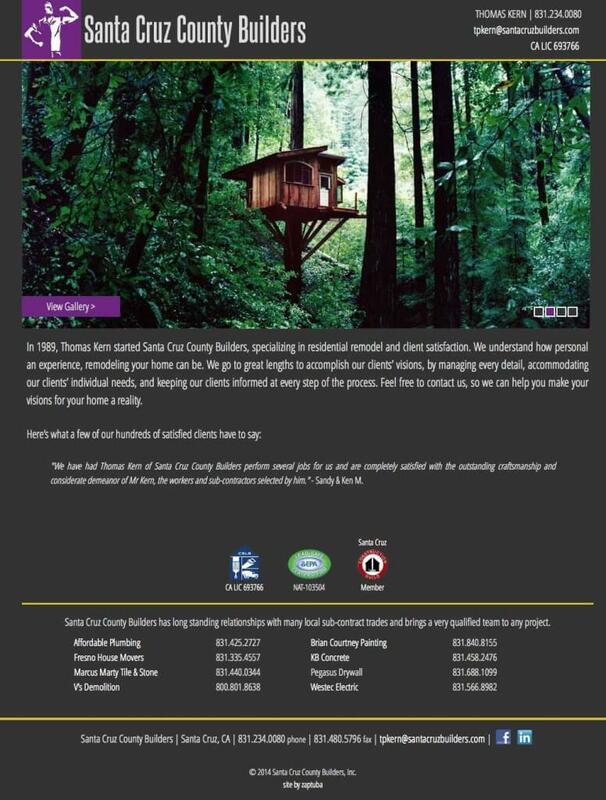 ZapTuba designed and delivered a website powered by a custom WordPress theme to showcase the craftsmanship of Santa Cruz County Builders and their trusted partners throughout their many years of successful remodeling and construction projects. 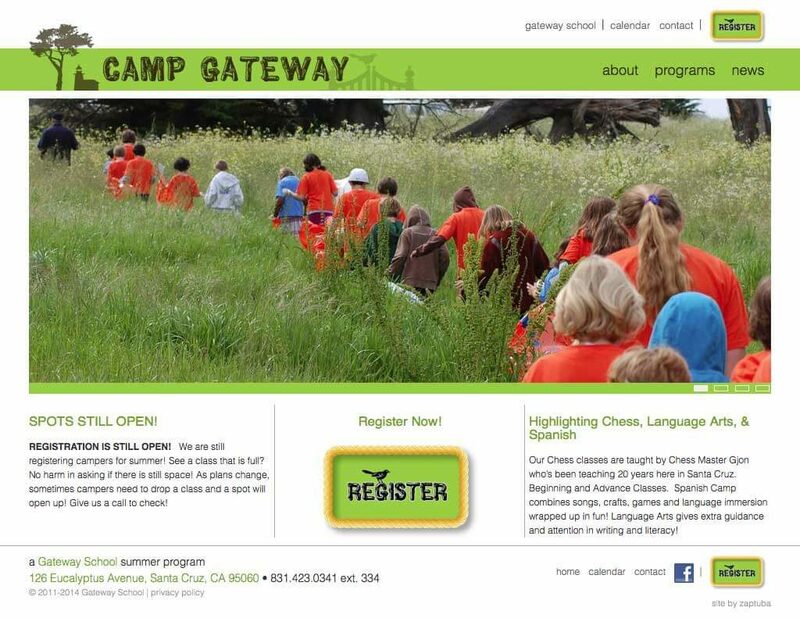 UPDATE: This theme was retired in 8.2016, click HERE for details on the latest Camp Gateway website. 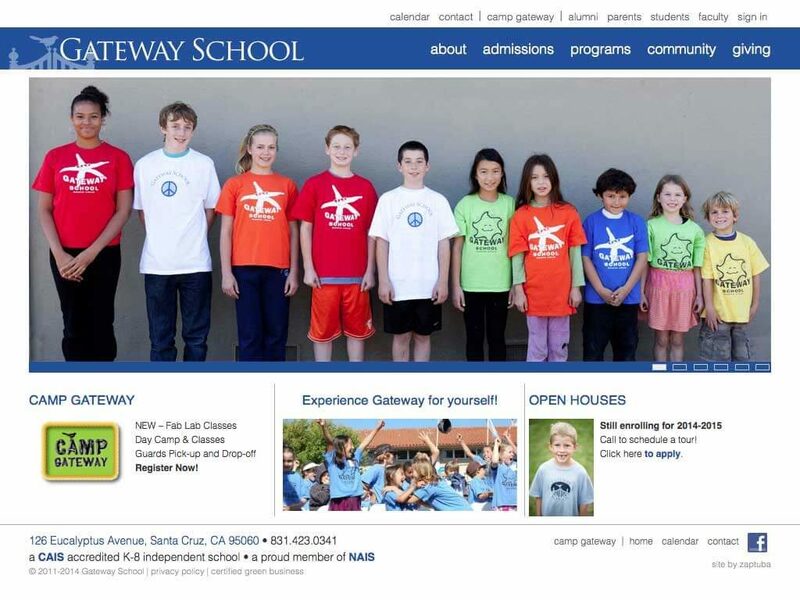 Following in the footsteps of Gateway School’s new and improved website, Camp Gateway wanted to modernize the look of their website and also provide an online filterable list of summer classes. UPDATE: This theme was retired in 8.2016, click HERE for details on the new theme. Since the debut of the new website, ZapTuba has continued to evolve Gateway School’s website adapting it to the changing needs of the school and its staff. In collaboration with Red Dot Media, who provided the licensed character, visual assets, marketing, and legal support, ZapTuba developed Sightings – Ghost Face, a social photo sharing iOS app featuring the popular character Ghost Face® as seen in the Scream motion pictures. UPDATE 3.2018: This iOS app has now been officially retired, and is no longer available from the App Store.